Why should we believe in God? It is a question that is profoundly engaging the minds of the world. Former lawyer, Roy Williams, contends that belief should be based on logical deductions from known facts: it is not a matter of blind faith. Using many examples drawn from science, politics, history, sociology and the arts, he tackles all the biggest questions by appealing to evidence and to reason. A recurring theme of the book is the vital place of doubt and uncertainty in God's creation. Rebutting the arguments of atheists such as Christopher Hitchens and Richard Dawkins, Williams explores the role of faith, which he considers a much-misunderstood concept. 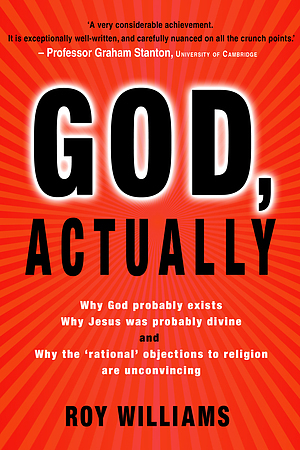 God, Actually by Roy Williams was published by Lion Hudson in June 2009 and is our 24619th best seller. The ISBN for God, Actually is 9781854249203. I have read the original Australian edition of this book. I strongly recommend it for anyone who wants to understand the arguments for the existence of God, and for the divinity of Jesus. This applies whether you are currently a Christian or a sceptic, but particularly if you are somewhere in between - unsure and uninformed, and not sure where to start. The book is clearly written and well researched and explains the standard arguments. But the author also has some interesting original ideas, such as his argument that the existence of Love is evidence of the existence of God. If you are already a Christian, the book might help to strengthen your existing faith by removing any nagging doubts about, for example, the implications of science. Or the book will be invaluable in preparing you for Christian witness by arming you with clear and logical responses to the standard doubts, arguments and criticisms raised by those who are unsure or sceptical. For example, the Chapter on suffering is the best explanation I have heard or read for that perennial but difficult question: If there is a God, why does he allow innocent people to suffer? 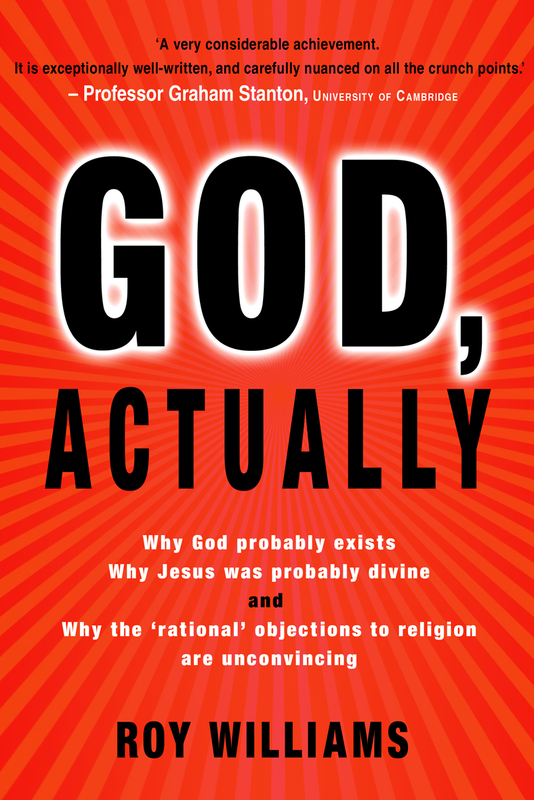 Even if you do not need any convincing yourself, I think this would be a great book to buy for that intelligent non-Christian friend, relative or acquaintance who might have an open mind, but can't get past their rational doubts. It is written by a lay Australian lawyer who only converted late in life - and should therefore appeal to secular readers. While reading this book, a classic title, Who Moved The Stone?, sprang to mind. The book commences with one man's journey to faith, but forget the easy, comforting “Road to Damascus” type of read. Roy Williams, a lawyer, not a theologian, uses a detailed argument, drawing upon evidence and reason to show the reasons for belief. Be prepared to consider all realms of thought from science to history to understand the defence of Christianity. I personally love his quote from Francis Bacon, which sums up so much - “A little philosophy inclineth men's minds to atheism, but depth in philosophy bringeth men's minds about to religion”. Got a question? No problem! Just click here to ask us about God, Actually.